It's that time of year again. I can smell the pencil shavings. To enter, leave a comment telling me what your favorite, most irresistible back to school supply is. My favorites are all those notebooks. I love to write, journal, organize, plot, jot, doodle, and I just have to have my notebooks. For an extra entry, follow my blog. Just let me know in your comment that you are a follower. Two total entries. Because I like simple. Simple is good. 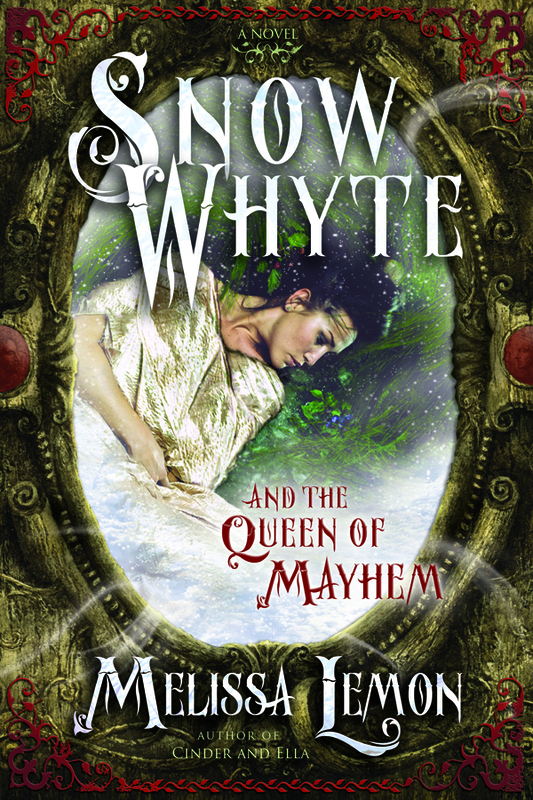 I'll be giving away one hardback copy of Cinder and Ella and one ARC of Snow Whyte and the Queen of Mayhem. Two entries. Two prizes. Two winners. Good luck! Be sure to check out all the other great giveaways. Here is the linky. My favorite school supply is the tabbed dividers. My 7th grader had to have the pocket tabbed dividers and I think I love those even more! I'm a geek for organizing things. I'm still a follower too. I follow via GFC (nrlymrtl) & liked your fb page. How exciting! I've read cinder and ella and I loved it! I can't wait to get my hands on snow whyte! Thanks for being a part of the hop! My favorite back-to-school item is also notebooks. It's exciting to see them fill up with information that I learn. It's like a record of my education. I loved getting a new backpack. Just stopping by to look around. Found you on the Back To School Hop. Have a fun hop!! I don't need entered in the giveaway. 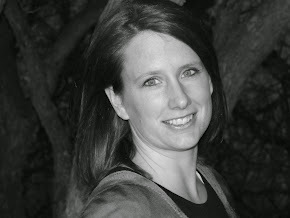 I have two giveaways going on at my blog, stop by if you like. They are author giveaways, not for the Back To School Hop. I loved getting notebooks. Thanks for the chance to win! My favorite back to school items are pens and sharpies. You can never have too many sharpie. My favorite part of going back to school is fresh clean paper to write on. I'm kind of a paper fanatic. Also, pencils, love 'em. I love the new back to school clothes! I agree with notebooks...I always carried like ten with me to write and doodle and pass notes. Thanks for the giveaway! I love colored pencils. I love new books even more. My favorite item is notebooks. I love getting new and beautiful notebooks. I've always loved notebooks and pens! Notebooks so I can write and keep track of what I am doing. Thanks so much for the give-away. I am a new follower on GFC,mnleona. Sharpie pens! I love to write with them. Cinder and Ella has been on my to-read list forever and the Snowwhite one looks realy good too. Pens and Notebooks. Best. EVER. :D Love doodling in them. lol! I haven't read your Cinder book yet but I've wanted to for a while! And your new upcoming one looks AWESOME! So cool!!! Thanks! Oh, what supplies don't I love? I love pens. Crayons! I always loved getting (and still love to buy) a big box of those Crayola crayons! I love it when they are new and all freshly sharpened! I love stretchy book covers with their different designs/patterns and trying to figure out which goes best with what book/subject! I like loose leaf paper. kind of weird but there it is! For me it would be crayons. I just love the colors. My favorite back to school item would be the binders! I love to make collages and decorate them! It's the best part! New notebooks were always my top new back to school supply! I love journals, notebooks, stationary. I always liked getting clean, new notebooks. 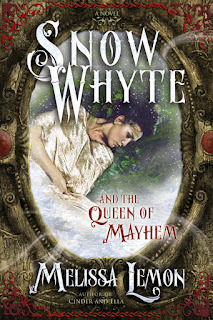 i can't wait to read Snow Whyte and the Queen of Mayhem..
Yeah actually, I have this custom pocket folders and it does help me in organizing and categorizing my files based on what should go along to other files. I really think this will be helpful to all students like me.